Requiring balance, flexibility, coordination, and more, gymnastics is one of the world’s most challenging — and beautiful — sports. Coming from the Greek word for bodily exercise, gymnastics has been around for thousands of years when it was originally used in ancient Greece to develop strength and discipline. Fast-forward 2,500 years and Triple Gymnastics is working to foster these same qualities in children in Beijing. 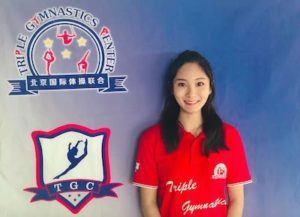 Founded by a senior sports manager and three masters of children’s sports education and psychology with more than 10 years of experience teaching gymnastics at international schools in Beijing and around the world, Triple Gymnastics is about more than just gymnastics classes. They are also committed to popularizing competitive youth gymnastics and helping schools and other clubs establish their own gymnastics facilities and programmes. 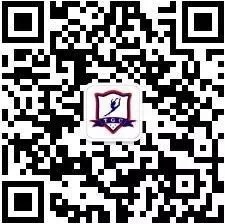 The club works with Beijing’s leading international schools, including Dulwich College Beijing, Western Academy of Beijing, Daystar Academy, House of Knowledge, and Beijing City International School, to organize classes, clubs, and competitions. Triple Gymnastics is all about the three “As”: ability, agility, and assertiveness. Their classes help children to develop healthy minds and bodies, with benefits that last long after they are all grown up. Beyond better coordination and better posture, gymnastics has been proven to increase self-confidence and self-awareness, encourage creativity, and instill an understanding of hard work and disciple. Not to mention the great friends that they will make in their classes! 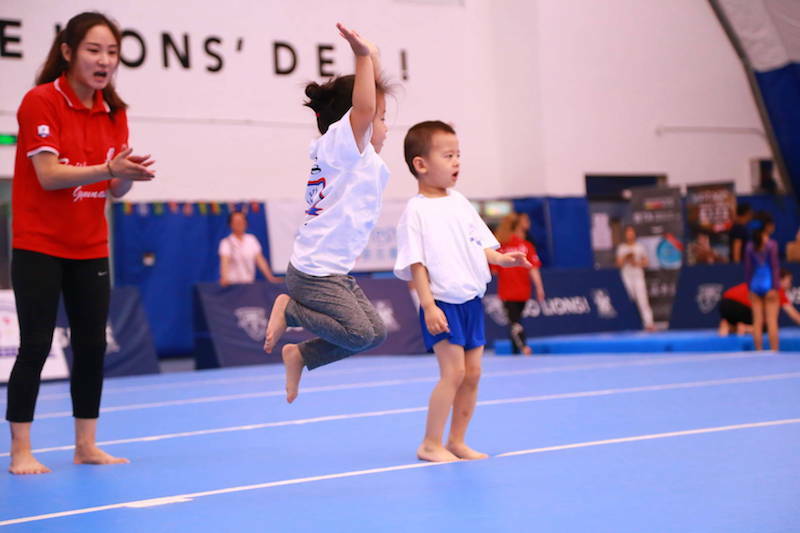 Any of the above benefits are greatest when children start gymnastics early and Triple Gymnastics offers kindergarten gymnastics classes for children aged 10 months to 3.5 years. In addition to building foundational skills, these classes foster interaction and communication between parent and child. For older children, Triple Gymnastics offers artistic gymnastics classes for girls aged 5-18 years old, beginner to level six, and artistic gymnastics classes for boys aged 6-16 years old, level two to six, both taught according to Gymnastics Australia and USA Gymnastics standards. Girls that reach level three or above have the option to join the Triple Gymnastics competitive team, which practices four times a week. 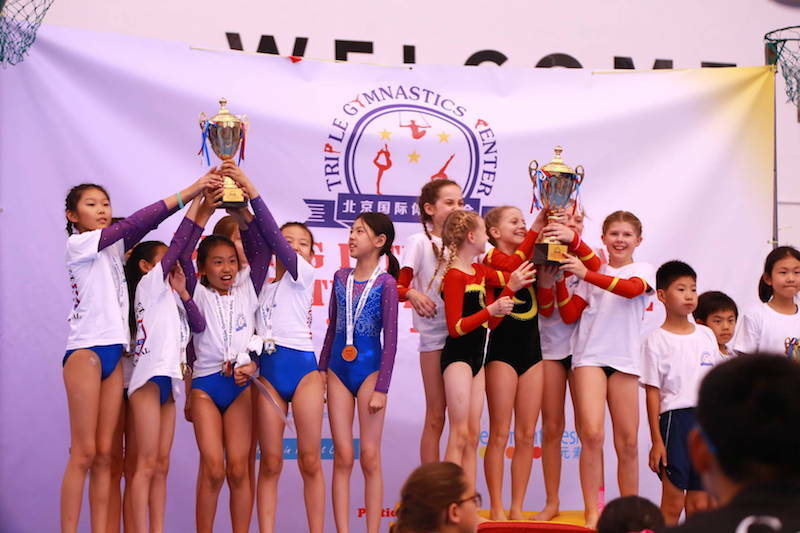 Triple Gymnastics also organizes regular competitions, which frequently attract up to 10 amateur gymnastics teams from clubs and international schools around Beijing, with more than 130 competitors. 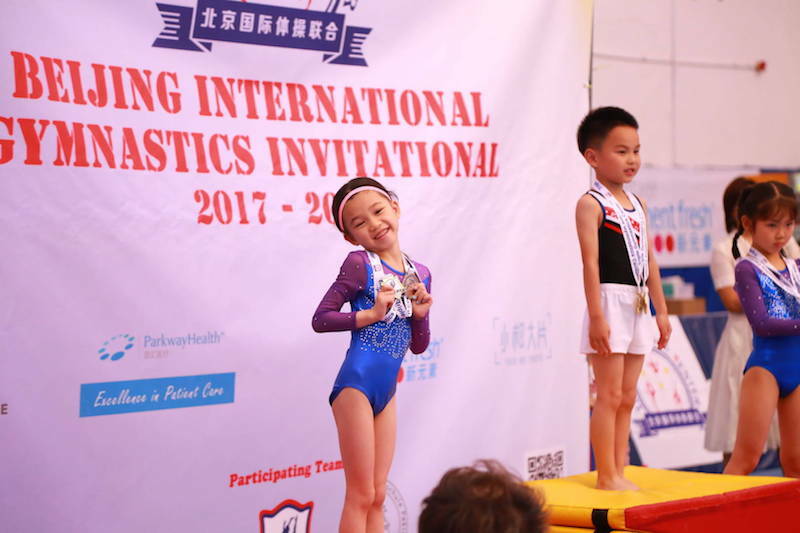 In previous years, the Triple Gymnastics team has also traveled to Shanghai, Hong Kong, and Singapore to compete in international competitions. For kids preparing to study abroad, this is also a great way to establish a strong extracurricular activity. Of course, a gymnastics class is nothing without a coach and this is another area where Triple Gymnastics stands out. With decades of combined experience, Triple Gymnastics’s teaching team includes international-level gymnastic coaches and experts in early childhood physical development, as well as former Olympic champions who act as specially-invited consultants. 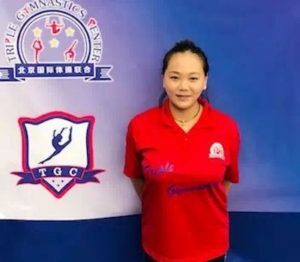 Yang Yilin and He Kexin, members of the gold medal-winning Chinese Olympic gymnastics team at the 2008 Olympic Games in Beijing, have both worked with Triple Gymnastics. Eleven years of experience working with international schools and clubs, child psychology expert, former member of the national gymnastics squad, co-founder of Triple Gymnastics. 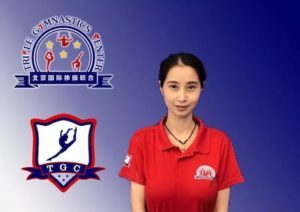 Nine years of experience working with international schools and clubs, six years of experience working at a gymnastics club/school in Singapore, former members of the national gymnastics squad. Eleven years of experience working with international schools and clubs, sports and nutrition expert, yoga teacher, former member of the national gymnastics squad, co-founder of Triple Gymnastics. Getting an early start with gymnastics has demonstrable benefits that will last kids a lifetime. If you want to find out more about Triple Gymnastics and the classes and activities they offer, visit their upcoming open day. More details below.